Customers expect a seamless experience across services and devices, critical to ensure successful conversions and renewals in e-commerce. At the same time, the impact of disconnected user experience on employee productivity can have significant financial implications. Big egos, politics, a shortage of skilled talent, legacy systems and complexity can also conspire to undermine the success of your IAM program unless you plan for and take massive action today. 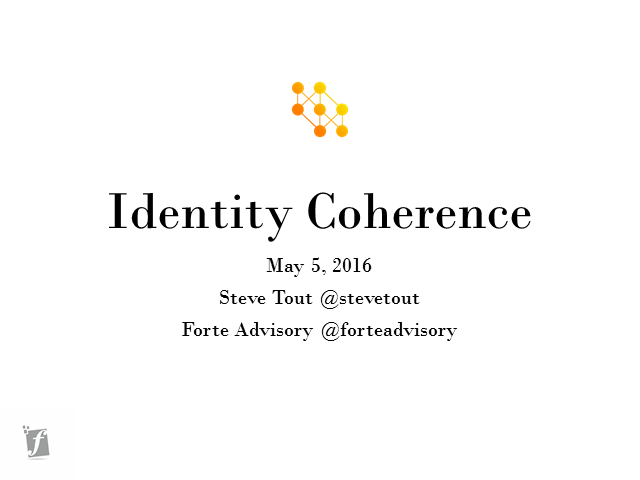 Join Steve Tout as he presents Identity Coherence, a blueprint for creating massive value and success with IAM in a multi-vendor, multi-cloud environment.